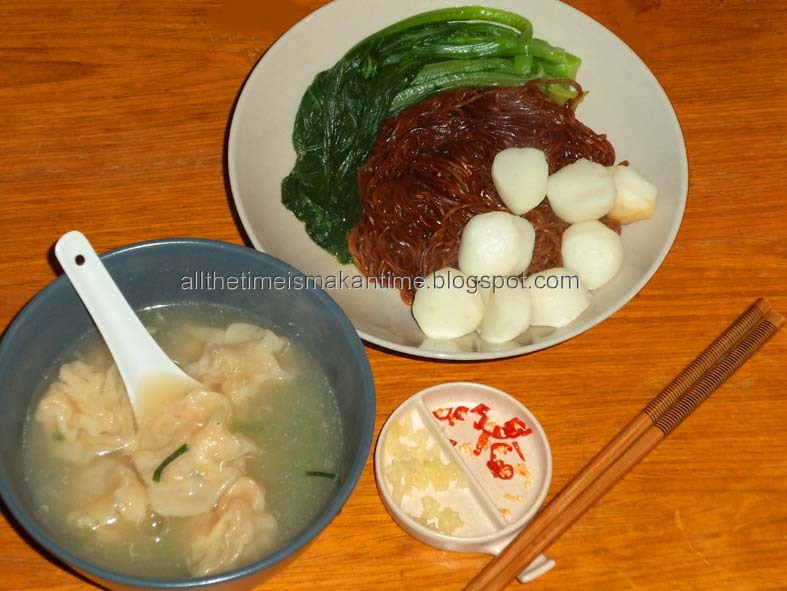 There are two types of wantan, or wonton noodles- one served in a clear broth and another dressed in a mixture of soy sauces with a side of meat filled wantan parcels in clear broth. The latter is normally served with slices of char siu, or barbecued pork, but I’m using fish balls and prawn wantan. Both uses the thin noodles that you can find in most oriental food shops. 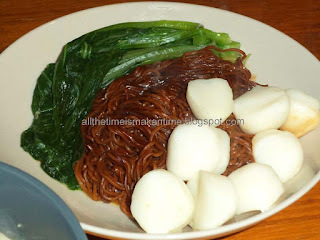 As this is one of my favourite Malaysian (Chinese) dishes, I had an extra incentive to learn to make it. It helps that it’s quite easy to prepare! To make the wantan, mix the chives, garlic and oyster sauce with the minced prawn and season with white pepper. Spoon a small amount of mixture onto the centre of the pastry, wet the edges with water and crimp the edges together to keep the filling in. This should make ten wantans. Boil the broth ingredients in a pot for five minutes. 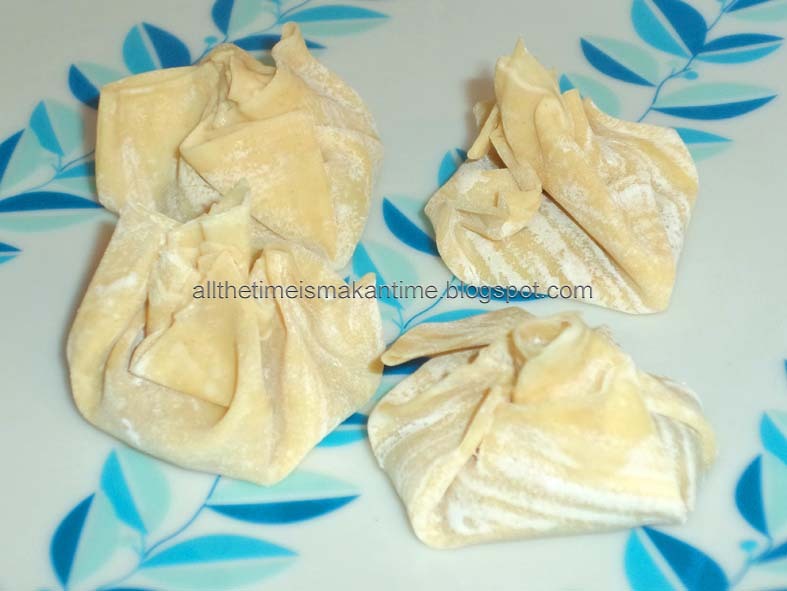 The wantan parcels are dropped into this broth gently and boiled until they float up, which normally takes only two or three minutes. Take off the heat and serve in two individual bowls. Bring a pot of water to boil, blanch the noodles, fish balls and the vegetables in less than a minute. Dress the noodles in the sauce mixture before serving up. 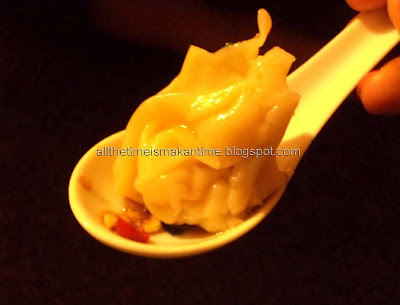 Wantan noodles and prawn wantans in clear broth served with minced garlic and chopped red chilies. The garlic and chillies are doused in soy sauce and added to the main dish as condiment. Vegetarian recipes in this blog includes eggs and dairy products as ingredients. Vegan does not. Copyright of V Krishnan 2012. Awesome Inc. theme. Powered by Blogger.